Microsoft recently had its World Partners Conference in Toronto, bringing our amazing city some much needed attention. 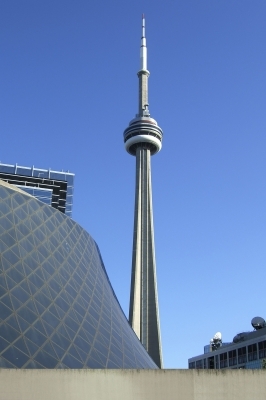 Toronto is not only Canada’s financial capital, but is also its cultural hub. The Greater Toronto Area ( GTA) is home to a very diverse population giving this amazing city a variety of perspectives and opinion. Toronto is a great place to do business, and the city offers many incentives for potential investors, and upcoming companies hoping for a future in the city. The city itself is one of the largest purchasers of public goods, and services and can offer many opportunities for vendors. The GTA is also known for free market and private enterprise dominance, this means businesses tend to flourish in the GTA and its easy for existing businesses to expand. Don’t take our word for it, as the numbers will speak for themselves- Industry leaders have based themselves in Toronto. This city is home to 9 out of Canada’s top 10 law firms and accounting groups as well as Canada’s top 5 banks. The GTA is also famous for housing North Americas second largest automotive centre. Due to all of these factors, Toronto has also become very cost competitive. There are always existing businesses providing the services you need at very competitive prices. This competition is what leads existing industries in the area to be so successful such as, the pharmaceutical and biotechnology , Film and design, and manufacturing- agricultural industries to name a few.